Introduction: After having discovered the probably best King Salmon fishing spot in the World we will now offer this place combined with Chile’s best Trout fishing. 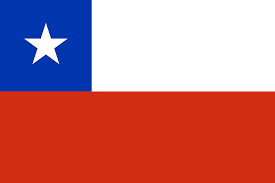 On February 9 th 2016 we will guide 4 guests to Puerto Montt and the next day to Coyhaique/Balmaceda in Chile. We take a day of rest or sight seeing there from the border of Rio Simpson. Of course those fit enough can fish as well. On Feb 12 th our long time friend Julio will pick us up and brings us to his lovely Lago Misterioso Lodge. Here we will have gourmet full board and professionally guided fishing during almost 5 days. Fishing will take place in 3 lakes and 3-4 rivers. Big Browns and Rainbows, mostly on Dries like Tchernobyl Ant will change your personal Record. Upon wish you can also head for a King Salmon river. Highlight will certainly be the hidden Elf Creek where Big Browns try to pass the 2,5 m high water fall. 5 nights later, on Feb 17 th, we will have a domestic flight to Puerto Montt, followed by a 4 hrs transfer to hotel Catalina. On the next morning a private Ferry will bring us into the Pumalin National Park where we during 6 nights will be accomodated in the wonderful Vodudahue Lodge at the banks of the fantastic King Salmon Vodudahue River. Giant numbers of fresh, very heavy (up to 77 lbs, our this years’ record) Kings swim upriver. The max 50 m wide , slow flowing turquoise blue river has large stretches of pebble beds allowing not only perfect wading but also perfect landing possibilities for Fly Fishermen. In Feb 2015 we caught 4-5 Kings on average per person per day. Incidentally we also got some very large Rainbow and Sea Trout. The Lodge has nice double sleeping rooms with own bathroom and Shower. Meals will be taken from a cosy restaurant with open fire and view on the river. Every day you will be transferred by FWD and, if necessary Rubber Boat, to the fishing hot spots. On Feb 24 th we will return to Puerto Montt from where we fly after a hotel night back to our home destination with arrival Feb 26 th. Accomodation and meals in both lodges are from a distinguished category. Due to cancellation 2 rods are available! (Multi-Stopp) Flights from Amsterdam (by far cheapest) at www.opodo.de Euro 981,60. Connecting flights to Amsterdam within Europe ~Euro 100.